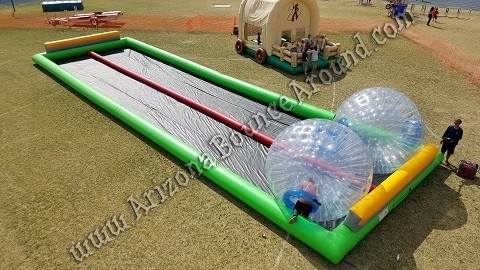 Our Zorb Ball race track rentals are available in 2, 3, 4, 5 or 7 lanes for super high output at events. Our Zorb Ball rack track features safety walls at both ends so the Zorb Balls wont go over the walls. 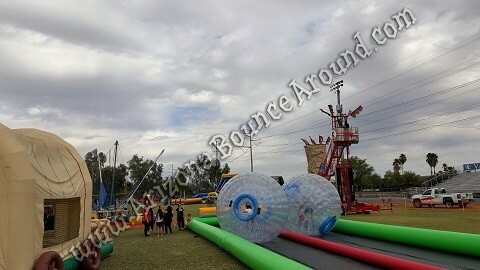 Our Zorb Balls are 10 feet tall perfect for kids 8 and up, teens and adults.